A few pieces of chicken and a well-stocked pantry are all you need to make this quick and tasty chicken: you can use any cut of chicken, with or without the skin, and other than the meat all you need are the spices. 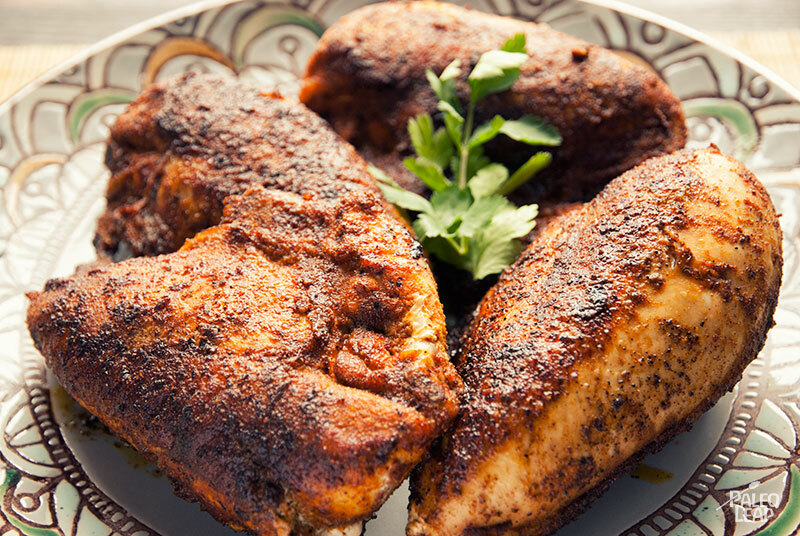 Swirl them together into one golden-yellow mixture, rub them over the chicken, and your work is done. With such a simple recipe, the spices really take center stage – and as well as being delicious, spices also have incredible health benefits. Ginger can help improve blood lipids and ease sore muscles. Turmeric (a common ingredient in curry powder) is great for your gut flora. Spicy foods like cayenne pepper and chipotle peppers can help tamp down on cravings, and garlic is so good for you that it got its own article. And in addition to all their other benefits, the antioxidants in these spices also help keep the PUFA in the chicken from oxidizing as it cooks – a great example of how our natural tastes can often lead us to very healthy foods! To pair with the spicy chicken, a good side dish would be a milder vegetable, like roasted cauliflower or zucchini cakes. A simple roast side dish can go right into the oven with the chicken, and will be done at around the same time, so it’s perfect if you’re in a rush: a family-friendly dinner with flavor and character, in less than 15 minutes of prep time even including the vegetables, and ready on the table an hour after you pull the chicken out of the fridge. SERVES: 4 PREP: 10 min. COOK: 45 min. In a bowl, combine the ginger, chipotle pepper, curry powder, paprika, garlic powder, coriander, cardamom, cloves, cayenne, cumin, and season with salt and pepper to taste. Rub the chicken pieces all over with the spices. 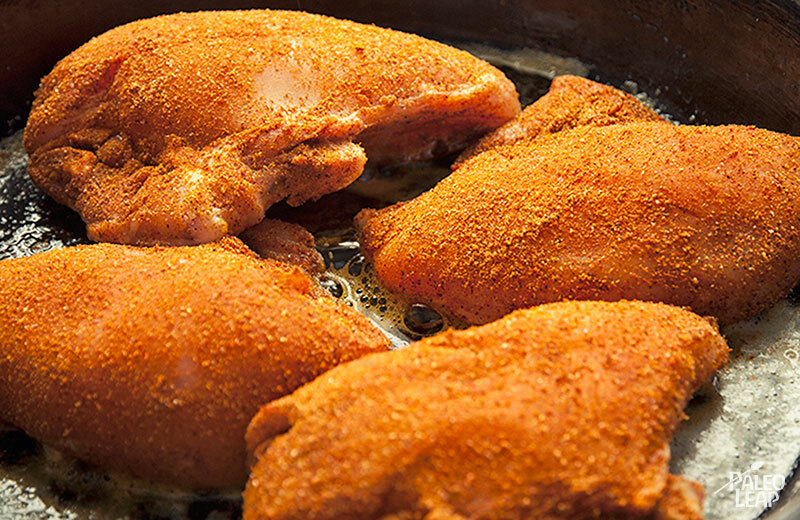 Place the chicken pieces in a baking dish that’s been coated with some cooking fat. Bake in the pre-heated oven for about 45 min (or until chicken is no longer pink and the juices run clear) and serve.